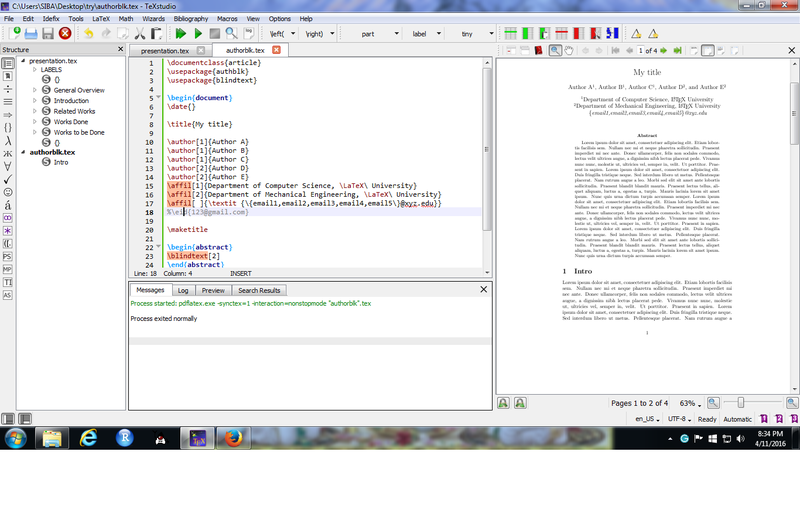 I'm looking for custom positions of author names, affiliations and emails in LaTeX article. I want to have email immediately below the affiliations rather than in the footnote like this. You can use the below mentioned code. The screen shot of the output is attached below. You need to remove the \thanks from the author affiliation. This is because \thanks places the e-mail id in the footnote. Hope this helps. Not the answer you're looking for? Browse other questions tagged article affiliation authblk email or ask your own question.